This volume collects a variety of techniques and methodologies developed to facilitate research on integrin biology and to identify ideal targets and approaches for the treatment of multiple organ diseases, with a focus on cancer in particular. 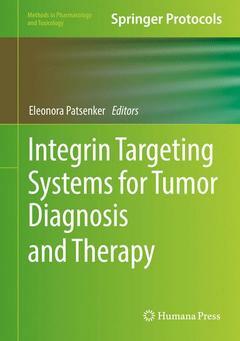 The chapters consecutively describe the tools for structural analysis, identification and detection of integrins as biomarkers, and include thorough laboratory and clinically-related methods on different strategies for generation, synthesis and evaluation of probes, carriers, peptides or small particles for integrin targeting, imaging, and drug delivery. As part of the Methods in Pharmacology and Toxicology series, this book contains the practical details that are invaluable in the laboratory. Authoritative and advantageous, Integrin Targeting Systems for Tumor Diagnosis and Therapy serves readers from a wide spectrum, including researchers and students seeking an overview of existing developments, as well as leading professionals aiming to become more familiar with integrin-related innovative technologies in cancer research.